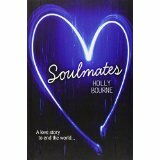 Holly started her writing career as a news journalist, where she was nominated for Best Print Journalist of the Year. 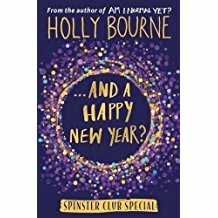 She then spent six years working as an editor, a relationship advis or, and general ‘agony aunt’ for a youth charity – helping young people with their relationships and mental health. Inspired by what she saw, she started writing teen fiction, including the best-selling, award-winning ‘Spinster Club’ series which helps educate teenagers about feminism. It Only Happens in the Movies: Audrey is over romance. Since her parents’ relationship imploded her mother’s been catatonic, so she takes a cinema job to get out of the house. But there she meets wannabe film-maker Harry. Nobody expects Audrey and Harry to fall in love as hard and fast as they do. But that doesn’t mean things are easy. Because real love isn’t like the movies. The greatest love story ever told doesn’t feature kissing in the snow or racing to airports. It features pain and confusion and hope and wonder and a ban on cheesy clichés. Oh, and zombies. How Hard Can Love Be? All Amber wants is a little bit of love. Her mum has never been the caring type, even before she moved to California, got remarried and had a personality transplant. But Amber’s hoping that spending the summer with her can change all that. And then there’s prom king Kyle, the guy all the girls want. Can he really be interested in anti-cheerleader Amber? 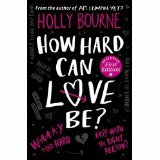 Even with best friends Evie and Lottie’s advice, there’s no escaping the fact: love is hard. Am I Normal Yet? Evie, Amber and Lottie: three girls facing down tough issues with the combined powers of friendship, feminism and cheesy snacks. 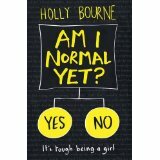 Both hilarious and heart-rending, this is Evie’s no-holds-barred story of struggling to live a “normal” teen life in the grip of OCD. 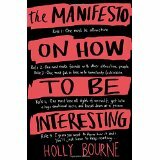 The Manifesto on How To Be Interesting: Bree is a loser, a wannabe author who hides behind words. But when she’s told she nee ds to start living a life worth writing about, The Manifesto on How to Be Interesting is born. Six steps on how to be interesting. Six steps that will see her infiltrate the popular set, fall in love with someone forbidden and make the biggest mistake of her life.